Sports Keyring is made of best quality material that is suitable for holding keys. Our products are offered at competitive prices at international standard. Our range of these key rings is stylish, easy to handle and durable for these features. our products are highly demanded across the global markets. 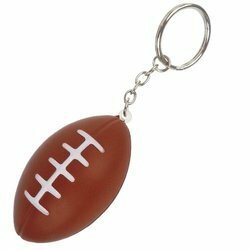 Being a customer oriented organization; we are deeply engaged in offering a wide array of Football Key Ring. These key chains can be customized, as per the diverse needs of our clients. Designed to perfection, this football key ring is highly appreciated for its excellent quality. With an impressive growth record in this highly competitive industry, we are providing a qualitative range of Sports Key Ring. 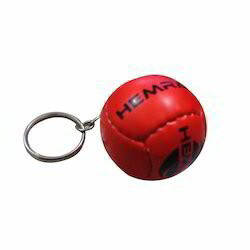 Synthetic, stitched rugby ball keychain that features logo and team name, measures approx. 2 1/2 inches long and 1 1/2 inch. Rugby Key Ring is available in varied sizes, colors and designs, the range is extensively used as a promotional item. we are offering wide range of Sports Cricket And Golf Key Ring. Leveraging on our enormous business competency and huge info of this field, we have brought forth a vast gamut of Football Keychain.